High quality stainless steel construction for optimum durability. 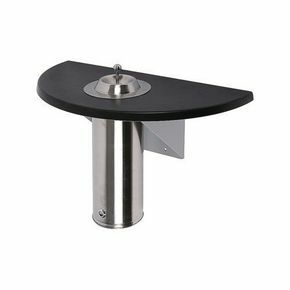 Black burn resistant 70cm wide semi circular table top with integrated ashtray receptacle. H x W x Dia: 475 X 700 X 350mm.